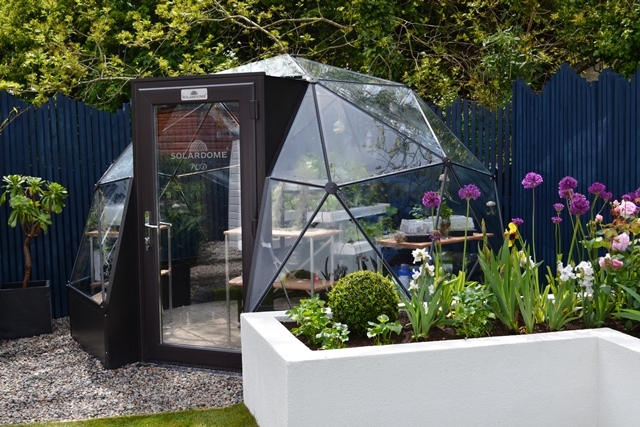 The latest episode of ITV’s Love Your Garden featured a war hero and his family in Cornwall – and what presenter Alan Titchmarsh described as an “absolutely exciting” geodesic dome donated by Solardome Industries. Viewers will have seen the Solardome® glasshouse being set up as a beautiful greenhouse, echoing the world famous biomes at the Eden Project which formed the inspiration for the garden makeover. In the latest series of Britain’s most popular gardening show, Alan Titchmarsh and team offer dream garden makeovers to deserving families. In Episode 3 which aired on Tuesday, 7 July at 8pm, Alan and the Garden Makeover Team created a spectacular ‘Space Age’ garden for father of three Chris Finney – the youngest serviceman ever to be awarded the George Cross. As part of the project, Solardome donated a cocoa brown SOLARDOME® POD worth £7680, along with three staging units which retail at £700. The Solardome team went on location to Cornwall to put the dome together, and they were filmed with Alan and his team. 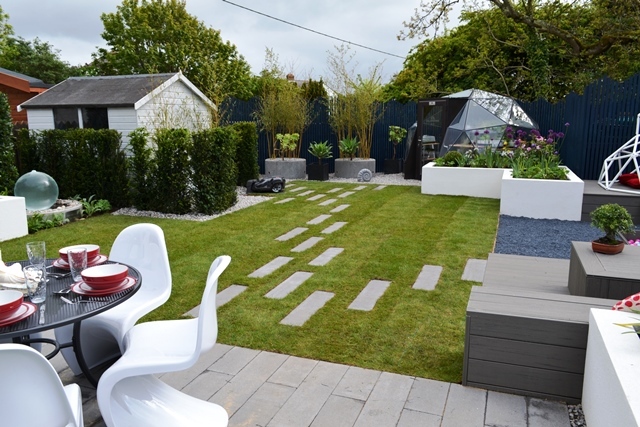 Alan described the makeover as “a clean contemporary garden with a futuristic twist” and when Chris and his wife Liz finally got to see the finished result, her response was “Wow. It’s taken my breath away. It’s amazing.” A few weeks later, Chris asked his daughter Erin which was her favourite part of the garden and instead of the play area, she pointed to the dome. 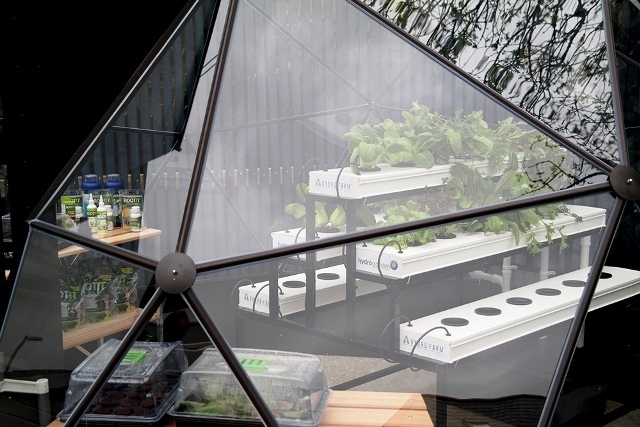 The Love Your Garden dome also featured a hydroponics system from Hydrogarden, whom Solardome worked with on the Gold award-winning garden at the 2013 RHS Chelsea Flower Show. Solardome Industries celebrates twenty years of business this year and has a long history of giving back. In 2012, the company donated a six-metre diameter Solardome® outdoor classroom to Children in Need for their refurbishment of The Yard Children’s Centre in Edinburgh. The company also supports young people and families through local charities in the Southampton area.